Policy wonks and politicians have long touted Saudi Arabia as a key U.S. ally, a much-needed bulwark of stability in a “turbulent Middle East.” This relationship will likely get a boost this week, following Crown Prince Mohammed bin Salman's meeting Tuesday with President Donald Trump. And yet, since MBS was promoted to Crown Prince last June, his government has rounded up prominent clerics and intellectuals and worked to stifle any form of dissent. 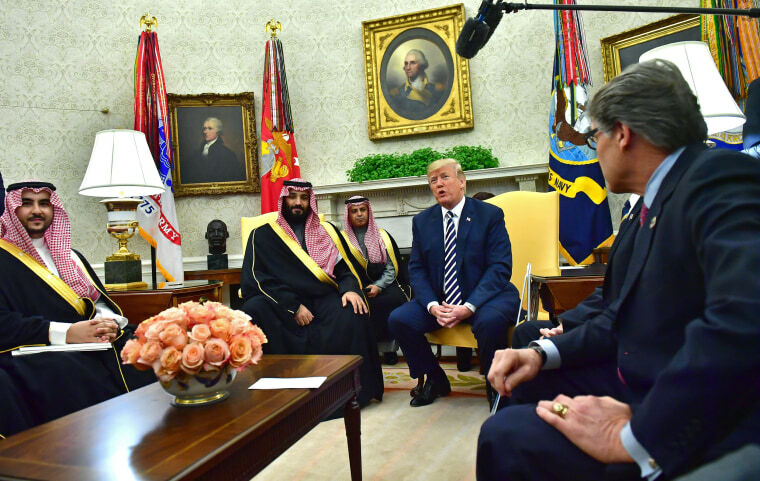 In just the past two weeks, journalists reported that 17 detainees among the princes, businessmen and government officials imprisoned this past November in the Riyadh Ritz-Carlton on alleged corruption charges required hospitalization for physical abuse. (Saudi Arabia's foreign minister has denied that any abuse occurred.) Even some of the reforms have been mixed with repression: When Saudi Arabia finally lifted the ban on women drivers, officials called women who had long worked for the change, ordering them to be silent.